Wetlands, forests and more . 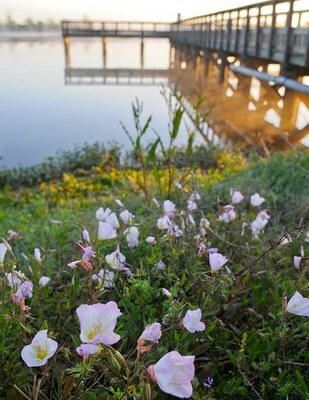 . .
Brazos Bend State Park includes 5,000 acres of bottomland and upland coastal prairie just south­west of the rapidly expanding Houston metro area. Tallgrass prairie covers much of the western border of the park. These prairies are home to native grasses that range in height from 2 to 6 feet tall. The park prairie offers a glimpse of a once widespread, but now vanishing ecosystem. Alligators, birds and more . . .
Due to its various ecosystems, the park is famous for its species diversity. Thousands of species, ranging from grasses and wild­flowers to trees and aquatic plant life, grow in the park. Animal life is just as diverse. The white-tailed deer is the largest of more than 25 different species of mammals. Other mammals here include feral pigs, raccoons, squirrels, river otters, bobcats, foxes and more. About 21 species of reptiles and am­phi­bians, in­clud­ing the American alligator, live in the park. 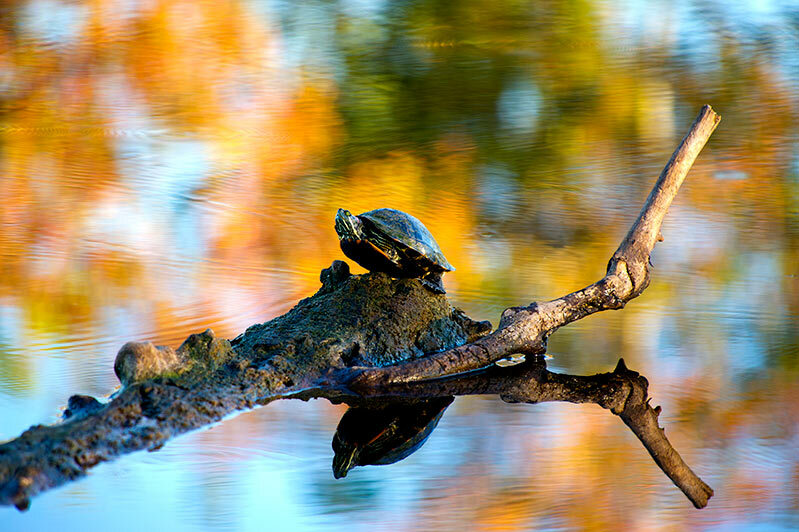 Mild days in the spring and fall or any mild winter day are the best time to view reptiles or am­phi­bians. Always use caution around alligators: Stay at least 30 feet away from alligators, never feed or annoy them, and keep yourself and your pet out of the water. Read through our alligator safety tips before your visit. The park is a bird watchers’ paradise. With well over 300 docu­mented species of birds, any time is a good time to see birds. Many wading birds, raptors and songbirds live here year-round. 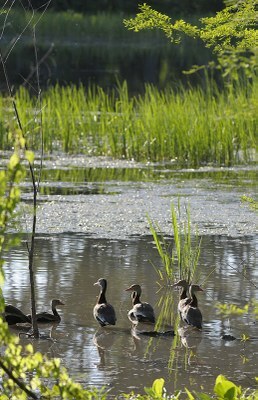 Migra­tory songbirds, waterfowl and other birds use the park for their winter home, spring and summer nesting range, or just as a rest stop on their long migratory route. 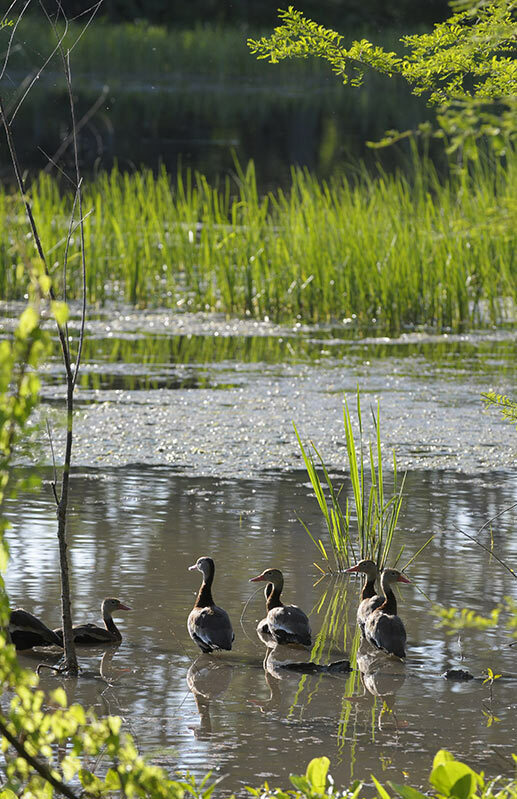 Download our Birds of Brazos Bend State Park.